This study sets out to understand and explore awareness in software engineering as a form of collaborative work in terms of its entailment and implication. In doing so, it intends to answer the following two questions: What are the aspects of awareness that are most relevant to the domain of software engineering? In what ways does awareness affect coordination and information sharing among collaborating actors in the domain of software engineering? An ethnographic methodology was espoused in order to test existing theoretical perspectives and generalizations pertaining to cooperative awareness. The study shows that what constitutes awareness beyond what and where of work context is, to a great extent, contingent upon the requirements and objectives of each professional domain with respect to the nature and complexity of joint activities and the manner in which the collaborating actors interact with each other accordingly. This also depends on the role they play in cooperative endeavors. The aspects that are most relevant to the domain of software engineering include work-oriented information on each others’ activities, tasks as moment-by-moment work processes, general information of all collaborating actors, detailed information about each others’ attention and responsibility as to ongoing projects, changes to shared document repositories and workspaces, and the delicate interplay between individual and cooperative activities. Moreover, the study corroborates the importance of awareness information for successful and effective collaboration in the domain of software engineering in terms of coordination and information sharing. Accordingly, awareness affects coordination and information sharing in ways that it ensures that the contributions of collaborating actors are relevant to the coordinated work and their actions are evaluated according to the coordinated goals, reduces the effort associated with coordination and information sharing in terms of using CSCW synchronous and asynchronous technologies as well as the frequency of this use, keeps the collaboration efforts to a minimum, enables to structure activities and avoid duplication of work and to fine-grain synergistic group and shared working behavior in relation to coordinated tasks, and acts as a foundation for (and predictor for) closer collaboration in terms of coordination and information sharing. In addition, in the domain of software engineering, the contextual conditions that determine the manner in which coordination and information sharing can be achieved are mostly personal, experiential, and/or professional. 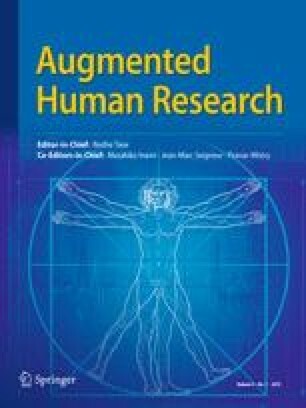 This study suggests that it is important to focus on awareness as a set of theoretical perspectives and to support technologies pertaining to work practice in relevance to the domain when designing and evaluating CSCW systems in order to achieve more effective and efficient outcomes in terms of coordination and information sharing as social processes. The study is an integral part of a Ph.D. research endeavor being undertaken at NTNU.